Lovely hair pins set in a pretty jade green color. These are from Swarovski's line of gemstone-look pearls. Jade crystal pearls are opaque with the rich color of polished natural jade. Beautiful color for a beach wedding. Wire wrapped styling. 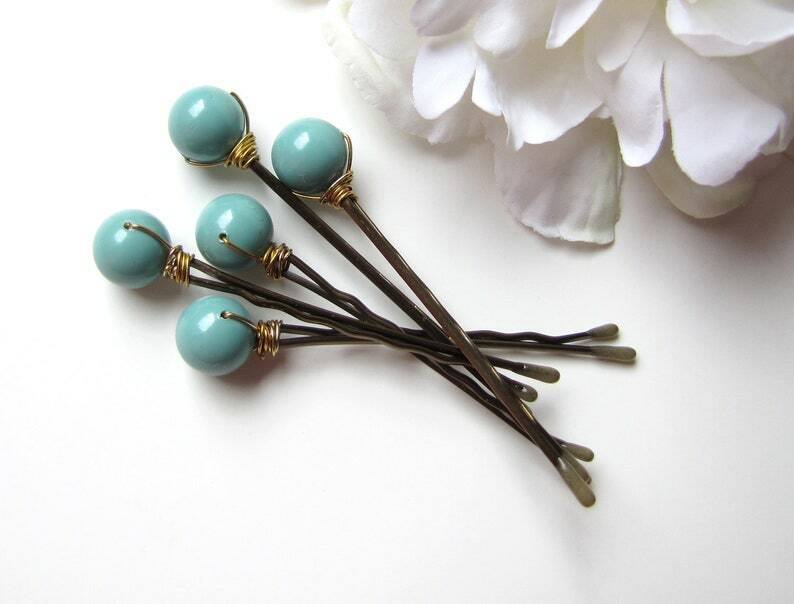 Each bead is attached to a quality 2 inch bobby pin, in your choice of color to coordinate with your hair. 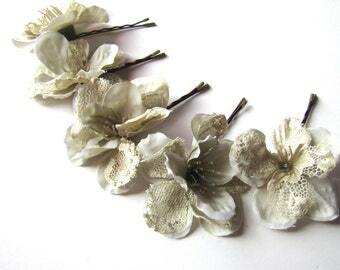 (5) Hair Pins - your choice of 10mm beads (shown), slightly smaller 8mm beads, or a mix. If no choice is indicated during checkout, brown pins with gold tone wire will be sent, as shown. Loved my new pins! They are absolutely stunning, thank you so much! Will definitely become a regular costumer!